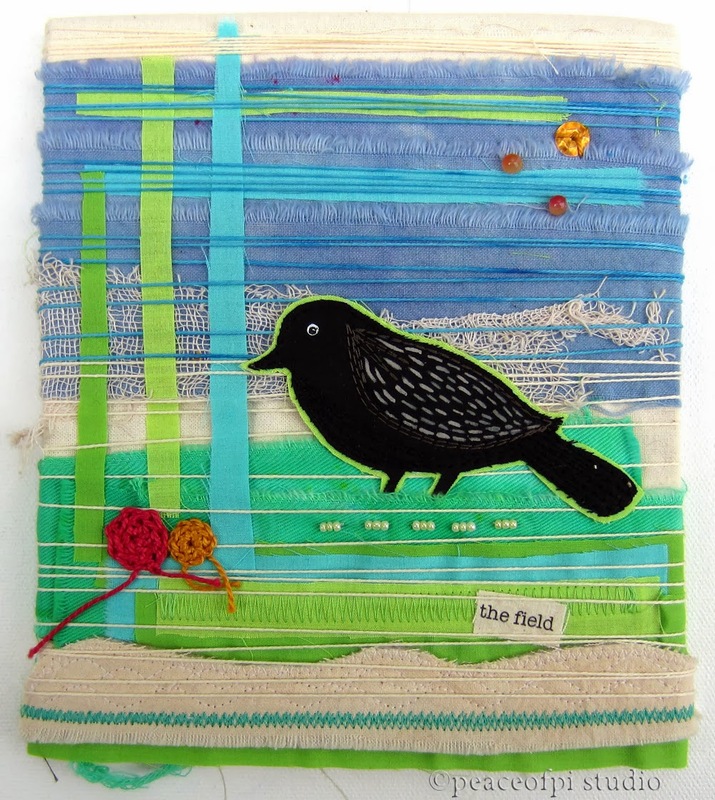 Blackbird is a fiber art collage piece created in fabric and string. Frayed pieces of hand dyed fabric are wrapped and bound with string. Part collage and part assemblage, this fiber art picture is embellished with a stitched blackbird, crochet flowers and beads.